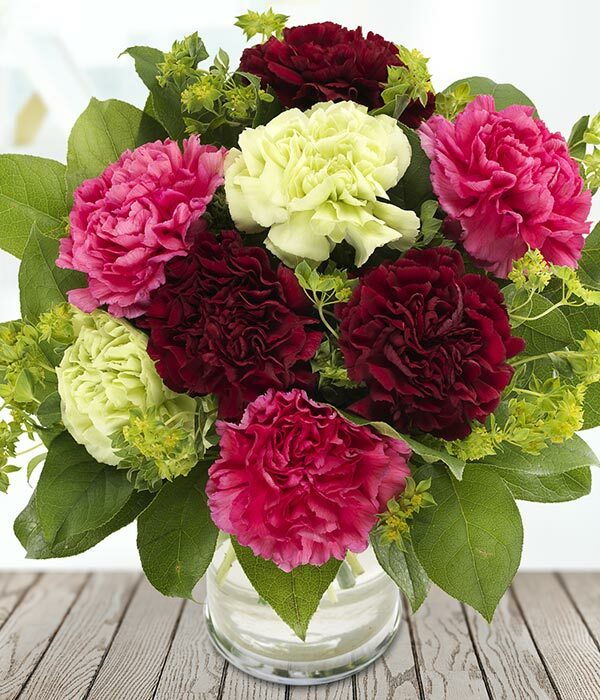 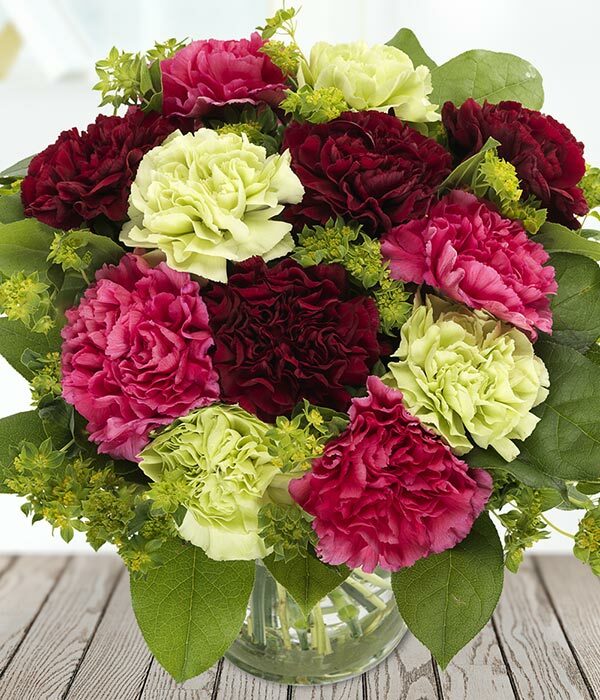 Cheerful carnations blend beautifully to create this pretty bouquet. Featuring hot pink, red, and cream carnations, mixed with seasonal foliage. 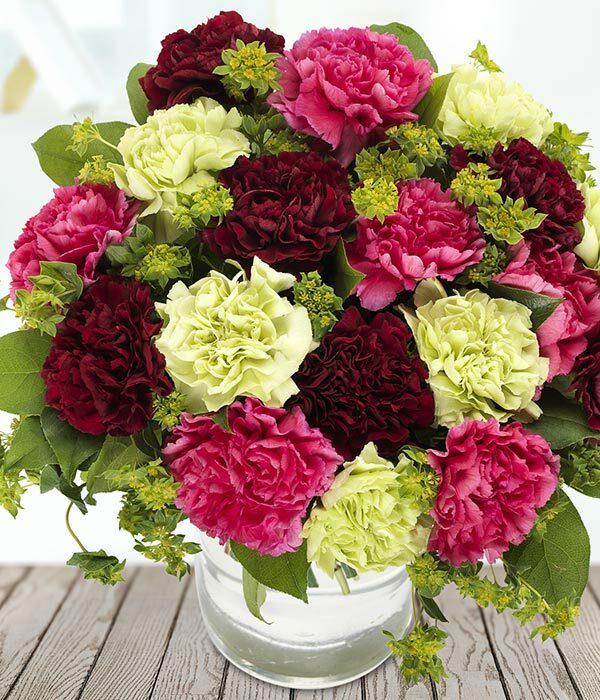 Lovingly created by a local florist and delivered by hand, this is a bunch to brighten their day.